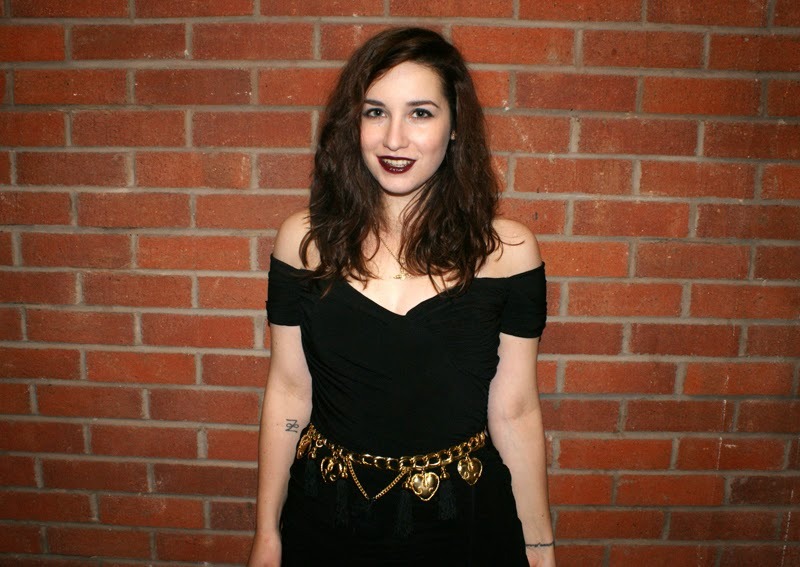 I was recently invited to the very swanky Manchester House restaurant for an evening of drinks, canapes and dresses with online retailer, Little Black Dress. I was really excited about the evening as with party season fast approaching, there's so many occasions that warrant a new dress! Little Black Dress sell an array of branded occasion and party dresses (not just black ones either...) and the evening was to mark the launch of their first, own exclusive range: The LBD Collection. The range is a capsule selection of timeless black party dress styles, inspired by fashion icons past and present. I was so thrilled after the event when I was able to choose my favourite. I chose the beautiful 'Diana' dress, inspired by an iconic dress worn by Princess Diana in 1994. I was instantly drawn the dress on the night after seeing it on one of the lovely LBD ladies and one of their models. I still haven't found a special occasion to wear the dress so had to resort to taking some photos during a lonely night in- such a blogger thing to do! I can't stress how gorgeous this dress is to wear. The bodice is all boned and the ruching makes it super flattering. 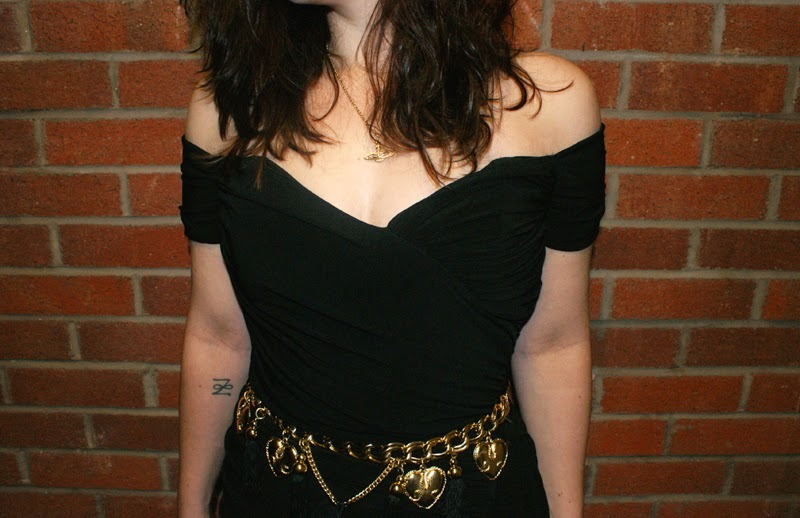 I accessorised it with this uh-mazing vintage gold chain belt I bought in London recently. I'd been looking for a belt like this for ages so was chuffed to find it. 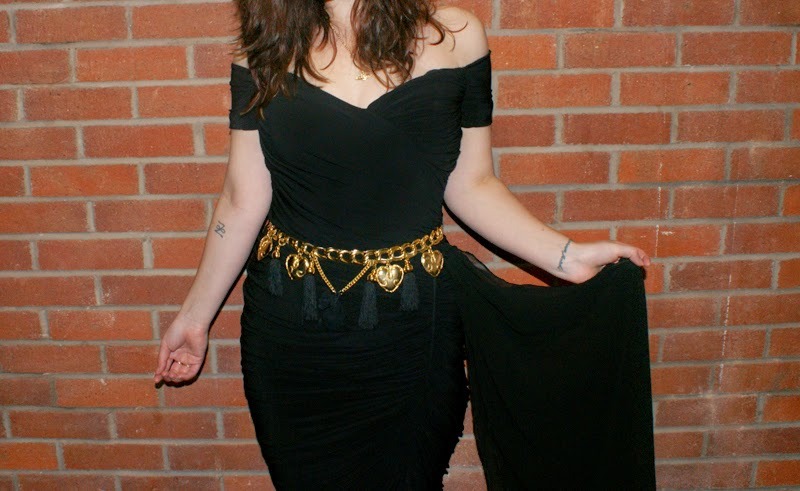 Even though I like to wear black a lot (a lot, a lot), I do love my gold accessories and jewellery so I love that the belt puts a little personal spin on the outfit. I can't recommend the LBD collection enough. The dresses average at around £100 each but based on the dress I chose, they are really beautiful quality- far better than most high street brands. They are all very classic too, meaning you'll get plenty of wear out of the styles. I love the belt with the dress! It has a sort of boho look to it, you look amazing!